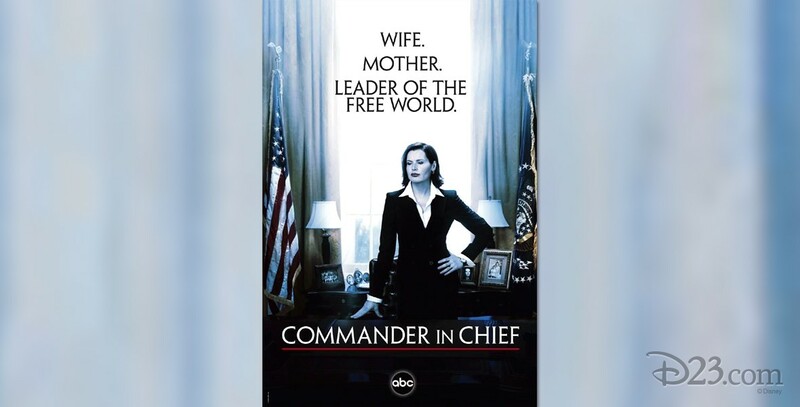 Commander-in-Chief (television) One-hour drama series that debuted on ABC on September 27, 2005, and ended June 14, 2006. Vice President Mackenzie Allen has three children at home, an ambitious husband at the office, and she is set to become the first female president of the United States. Even though the current and dying president has asked her to step down and let someone “more appropriate” fill his shoes in the Oval Office, Mackenzie is unwilling to be a mere footnote in history, so she decides to trust her instincts and accept the job. Stars Geena Davis (Mackenzie Allen), Donald Sutherland (Nathan Templeton), Harry J. Lennix (Jim Gardner), Ever Carradine (Kelly Ludlow), Kyle Secor (Rod Allen), Julie Ann Emery (Joan Greer), Matthew Lanter (Horace Allen), Caitlin Wachs (Rebecca Allen), Jasmine Anthony (Amy Allen). From Touchstone Television and Battle Plan Productions.